I realise my last post was a bit cryptic:) I wrote it in a hurry just before we left to go on a camp quality camp for the weekend(which by the way was awesome! ), and it seems I have confused some people. It stemmed from the fact that when we finally got home that evening, after a 15 hour day, I felt quite a bit like I do after a long haul flight back to Canada. And the more I thought about it, I realised that a lot of the activities we did were quite similar to what you would do on a flight- mostly sitting, waiting,watching the little tv’s, going to the toilet, and being served by the stewardesses. So, no, we are not in Canada, and, yes the “stewardesses” are actually nurses, the “in flight entertainment system” is our iPad, you can’t actually get a jar to pee in on a normal airplane, instead of falling asleep naturally on the plane, Sam was given general anaesthetic for his lumbar puncture, and instead of a sleeping mask, pen and postcard, we got a canister to put used cytotoxic needles in, some chemotherapy pills, rubber gloves and goggles. So for anyone who has gone on a long flight, but has not had a child in the oncology day clinic, that’s the best comparison I can come up with to give a bit of an idea of how I feel at the end of one of our days up there…. With a few minor differences. Yesterday Sam and I flew from Australia to Canada. Well, I suppose that wouldn’t be quite correct, but there were a lot of similarities. We started off at 6:15am, we were running a bit late for the flight, but still made it on before it left. First, we had a 2 hr domestic flight to Brisbane, then for the main leg of the journey, we had our own first class berth (we were in quarantine), and many stewardesses coming to check up on us and make sure everything was O.K. It was however disappointing that there was no in flight meal ( Sam had to fast for his upcoming surgery) but we kept ourselves occupied with the in flight entertainment system, reading books and playing many rounds of I spy. At one point Sam even fell asleep (helped by the anaesthetist and his white liquid), at which point I was able to go for a walk up and down the aisle to stretch my legs and get a cup of hot chocolate. One feature that hasn’t made it on to most commercial flights yet, was the pee jar- especially handy when you are sitting near the window and the 2 people beside you both have their tray tables down and you really have to go because you are hooked up to an I.V., which is pumping you full of fluid. Just politely call a stewardess, get a jar, and hand it in when finished. Too easy. After Sam’s sleep, the stewardesses gave him some more medicine for the next three hours of the flight, and then we were able to transfer back to domestic, making sure to bring with us the complimentary bag of needles, goggles and gloves, that they provide for your comfort on the flight. The last domestic leg was a bit longer than the first, as we had to refuel halfway, giving Sam and I a chance to grab a pizza. 15 hours after we had left, we both stumbled up the steps (Sam had more reason to, as he had a new insuflon port thingy which had just been inserted in his leg) and we flopped down on our beds exhausted. Sam is losing his hair – not all his hair, but a good portion of it, so now he looks somewhat bald. There are so many conflicting thoughts and emotions I have with the hair loss. Sam thinks its hilarious – he laughed as he pulled out his hair in clumps, singing a made up song about his hair falling out. I watched him and laughed too – and felt like crying at the same time. Hair loss is such a visual reminder of cancer. For most of this time, Sam has kept his hair and usually looked like a healthy boy. Now his cancer is so much more obvious. And yet…not completely. He still has his eyebrows, eyelashes and a thin covering of hair. In a weird way, however, I like it – partly because he now legitimately looks the part, and I somewhat like looking at his bald head. I think it looks cool and interesting. We stayed home from church and school this week because his immunity is quite low, and I was rather disappointed. In a wacky way I wanted to show off my bald-headed boy! Well, a couple of days ago, Sam’s hair started to fall out again. It happened really suddenly. As in, before dinner Lorinda had given it a bit of a tug to see if any hair was starting to come out and none came out. A couple hours after dinner, it was coming out in clumps. After two nights of sleeping in a pile of hair, Sam decided it was time to buzz it all off. We all think Sam looks great without much hair, and as Sam and I were home from school on Friday, we took the opportunity to do a little photo shoot to show off the new look, and Sam wanted to learn about photography. He was going to teach me about Lego in the afternoon, however, those plans had to change as we were informed of an unplanned trip to Tweed for a last minute blood test, so I am still waiting for my lego lesson. We had been driving in the car since 4am, and it was now 5:30. Unfortunately my brilliant plan to help Sam fall asleep had failed miserably. It worked when he was a baby, why couldn’t it work on a 6 year old coming off a week of Dexemethesone? So, in the wee hours of the morning in a desperate bid to get some sleep into our boy, I bundled him into the car and we agreed that we would not talk while we drove down the highway, hopefully giving Sam’s wired brain a chance to relax and allow his body to sleep. Sam had not slept at all the entire night. He had spent it mostly lying on his bed with his eyes open, taking a break from that to make a lego helicopter between 1am and 2am, completely calm and happy, but also completely awake. So, I got to watch the sun rise over the beach with my beloved son. Something I probably wouldn’t have done in the past, but now, knowing the preciousness of time, it was not an opportunity I could miss. And though I hate cancer, I also find myself thankful for the memories and moments that only a situation like this could bring. We’ve been travelling up to the Children’s Hospital in Brisbane a lot lately. Four trips in three weeks to be precise. Back in October, when we first started going to Brisbane for chemo it felt like a bit of an adventure. It was rather exciting to be going up to the big city for the day. Now it has lost a lot of its enticement and it just feels long to drive the two hours to RCH. Being in the Oncology outpatients clinic is an experience. The staff are absolutely incredible and constantly maintain a positive attitude. 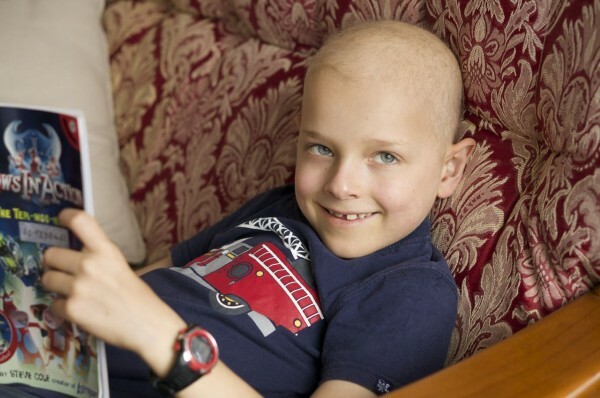 However, it doesn’t mask the reality that the room is full of children with cancer. The first time I was in the outpatients, back in September, I was completely overwhelmed. Everywhere I looked all I could see were sick kids: children connected up to IVs, children with feeding tubes, children with limbs missing, children in varying states of baldness….and all I could think was that all these children have cancer. At the time, when Sam’s diagnosis was so new, I couldn’t put him in the same category as the other children. Surely he didn’t belong with the cancer patients! Then one of the children rang the bell hanging on the wall of the clinic. His dad took a photo and everyone clapped. I blinked back the tears as I realised that this little boy had completely finished his treatment. Here we were, right at the beginning, with the future stretching out like a huge abyss, full of so much unknown, and I was witnessing someone who had made it to the other side. It was almost too much to comprehend yet gave me hope at the same time. Now we’re pros at the whole procedure. The nurses greet Sam by name as he walks in and we come prepared for the day with the iPad, books, pencil case, and snacks. Sometimes everything goes along without a hitch, and other times Sam is feeling more sensitive and afraid. The last time we travelled up, Sam didn’t want to go to Brisbane. He didn’t want them to access his port. He didn’t want to have chemo. He wished he never had leukaemia. We all had a little cry in the car together…and then the moment passed and he was okay again. I am so thankful Sam is at an age where he can understand that he has to do uncomfortable things like take medication, get pricked with needles and have chemo. He doesn’t like having them done, but has become very resilient. 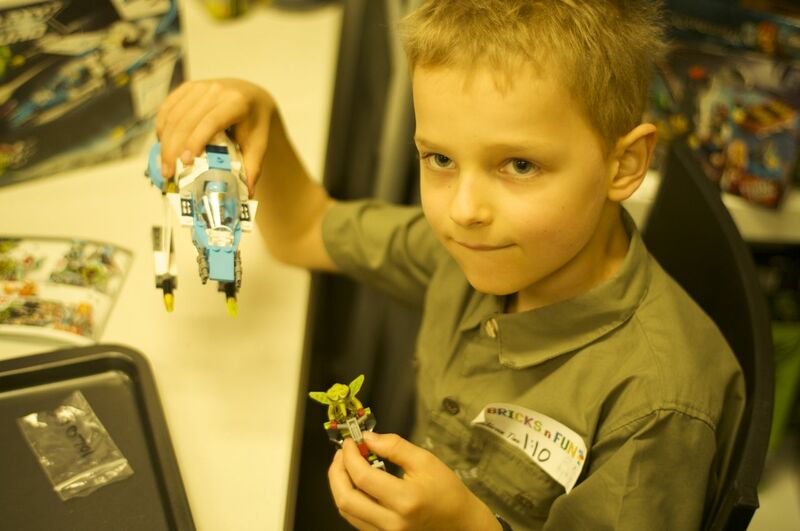 Recently, to make going to Brisbane more fun, we decided to visit a lego shop while we were up there. 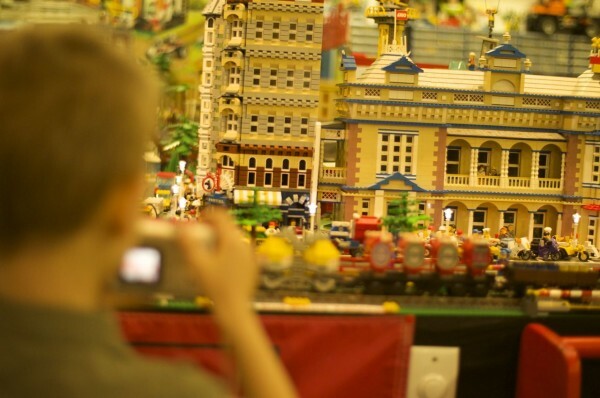 This wasn’t just an ordinary lego shop – in addition to selling lego, you could also book a time to build a lego set and look at their huge lego village display. Sam loved it! He could spend days in a place like that. I don’t know if it made going to the hospital any better, but it was great that Sam got to experience something other than treatment. Sometimes people are surprisingly awesome. For instance: the lady I don’t really know from somewhere in the U.S. who sent us an email after reading this blog. She was touched by Sam’s story and wished she could do something, but living on the other side of the world made it a wee bit difficult. So what did she do? How cool is that. I had a pretty good cry when I read that email. More stuff like this on the news, and maybe people wouldn’t be so depressed. Found this little video segment that my Dad took in October, This is the first time we administered Sam’s Chemo pills at home. Before we left the hospital with his pills, the Nurse gave us this big pile of safety gear to use while cutting and administering the pills to Sam. Now, call me crazy, but to me it felt like a little bit of overkill, however it provided a good laugh for us all, and you know what they say about laughter being the best medicine! I must say though, it does make me shake my head to think that I am supposed to go to such lengths to protect myself from this cytotoxic drug, which I then place in the palm of my six year olds hand and ask him to swallow it. I reckon it’s time we found a real cure.